These photographs were taken recently in the parishes of Ashingdon and Canewdon. 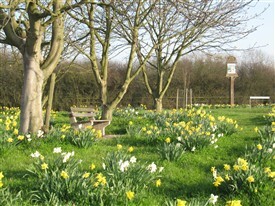 All the bulbs were planted by volunteers to enhance the environment for everyone and they certainly do that. At Canewdon the Horticultural Society did the spade work with a grant from the Parish Council. Daffodils, both yellow and white, bloom along both sides of the roads in and around the village and make a wonderful display in the April sunshine. Under the chestnut trees which were planted 30 years ago, also by volunteers, at the junction of Canewdon Road and Ashingdon Hill, is another striking burst of colour which can be enjoyed by everyone. 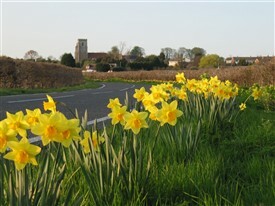 These spring flowers and the effort made by many ordinary people to create them are a great example of community spirit. This gallery was added by Sue Horncastle on 06/04/2012.